Extravagant and Avant Garde. 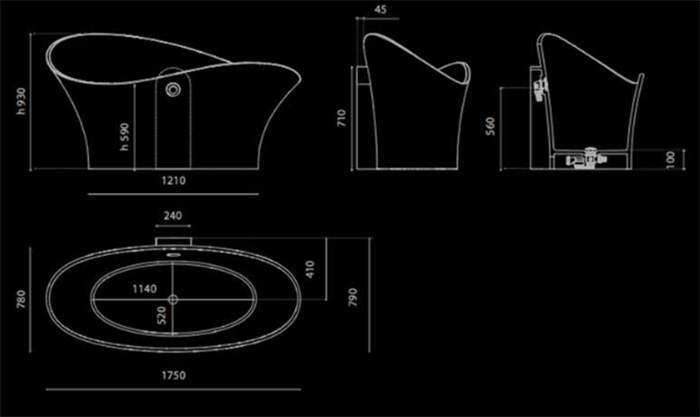 The Calla Lilly Contemporary Italian Luxury Bathtub is the expression of the Architectural Evangelist with its creative curiosity and technical virtuosity to awaken an unimagined brilliance. 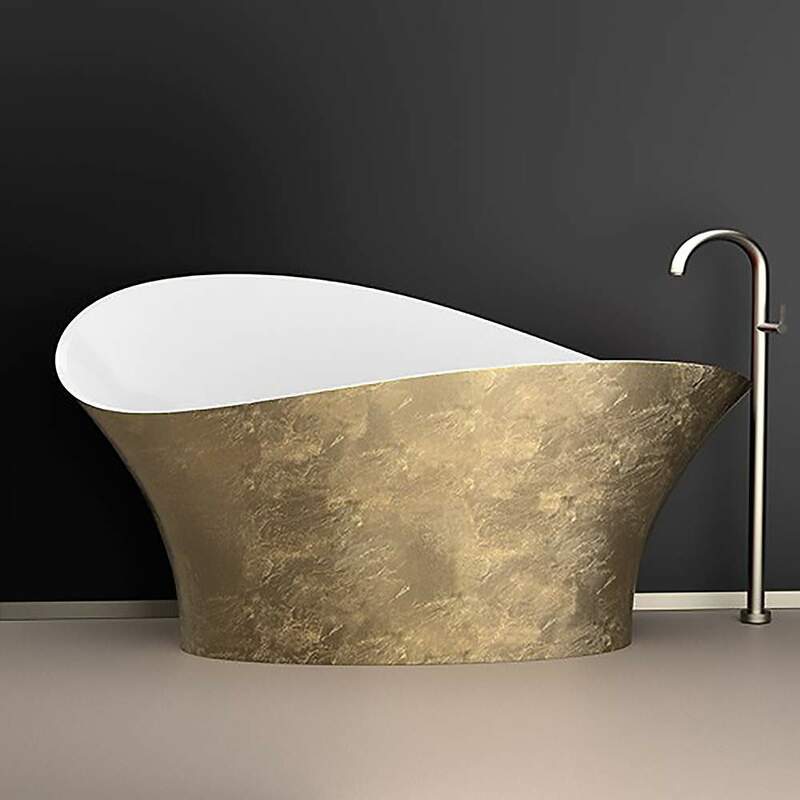 The Calla Lilly Contemporary Luxury Bathtub is an extraordinary art unto itself, hand-crafted of the finest materials with a complex three-dimensional mastery composition. Calla Lilly emulates brilliance with its distinctive and fashionable runway aesthetics. Luxurious with its simplicity, the Calla Lilly Contemporary Bathtub is designed for any contemporary or transitional style. This contemporary bathtub is available in designer inspired colors: Gold Leaf, Red, Black, and White - will look stunning and make a bold statement in any Mater�s bathroom. Floor Mount installation ensures this bathtub will stand out in your bathroom as a striking focal point. Vetro Freddo is one of the most exquisite and cutting-edge glass & resin design materials, which minimizes the need for any special maintenance. Furthermore, Vetro Fredo design material is durable making it practical for most luxury design applications.